Size of this preview: 800 × 528 pixels. Other resolution: 3,114 × 2,057 pixels. 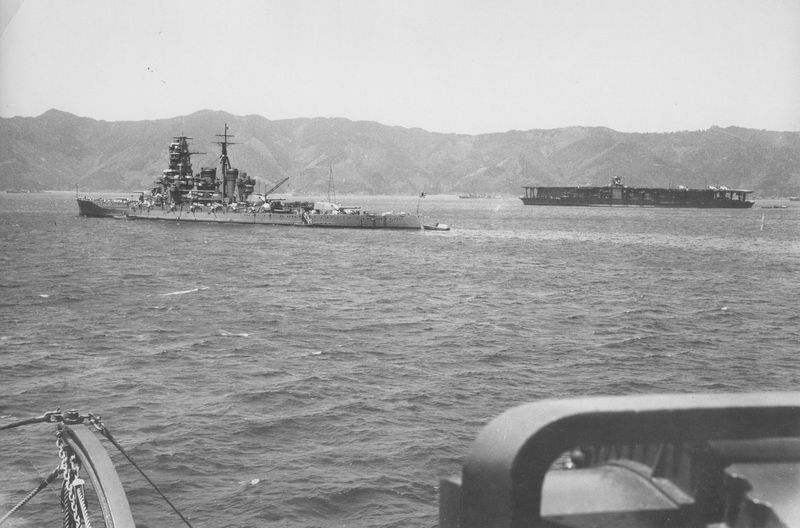 Imperial Japanese Navy battleship Kirishima (foreground) and aircraft carrier Akagi (background) near Tsukumowan, Japan. This page was last modified on 29 December 2015, at 05:47.